The ALCP facilitated the Georgian Beekeepers Union to develop infographic regards Do’s and Don’ts Antibiotic Use, providing guidelines for the beekeepers on proper usage of antibiotics and preventing honey and beeswax from contamination with the antibiotics. The full version of the infographic is available here. Up to thirty students of the agri journalism course at the journalism department attended a lecture given by the ALCP programme Team Leader Helen Bradbury in the state university. Agriculture and tourism; environmental protection, preservation and biodiversity; the honey, sheep and dairy sectors; Georgia’s rich cultural heritage and its main treasure - people/farmers with their strong traditions were the main themes of the lecture. All the students highlighted that the lecture was inspirational, they did not know many things, found different perspectives of agriculture and environment and they will report about the themes in the future. ‘Agriculture is about people and you should do your work with your heart if you want people to be opened to you. Try to understand the process and choose your own path. Be different and always find something new that no one else can see.’ - Helen Bradbury, Team Leader of the ALCP programme. Since spring fifty-three students have been learning agri journalism as a selective module for two hours/week, during the whole semester at the state university. ‘We see more and more reports about agriculture but it is not enough. Reporting about rural life, people and agriculture is very important and it is our and your responsibility to think about it and be more enthusiastic as you are future journalists or media managers.’ - Natia Kuprashvili, Head of the Journalism Resource Center. Fourteen universities in Georgia, four in Armenia and one in Azerbaijan established or are establishing agri journalism module in their courses. 369 students have already studied the course. 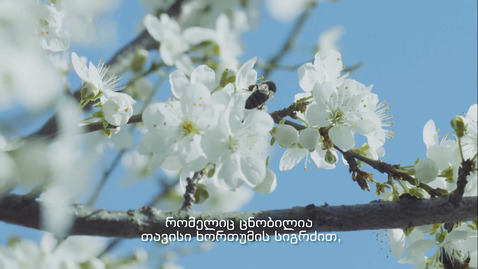 The ALCP facilitated the Georgian Beekeepers Union (GBU) in development of the honey promotion video, depicting the story of Georgia as a land of the oldest honey discovered and unique biodiversity to support awareness raising and promote export potential of Georgian honey and Jara. The video was shared with different stakeholders and social networks. The Ministry of Foreign Affairs shared it with their internal networks of embassies in Georgia and foreign countries and it was uploaded in a Georgian production section. The video is on Facebook of the Embassy of Switzerland in Georgia. The Georgian National Tourism Agency; The Department of Tourism and Resorts of Ajara; the Ministry of Environmental Protection and Agriculture; and The Agency of Protected Areas are sharing it with their network. It has reached the highest views on the popular Facebook platforms Marketer.ge and Georgian Wine. To date the video has 185,000 views and 6,000 shares. The majority of the viewers are emphasizing on interesting story mentioned in the video they did not know before and are sharing it for further promotion. 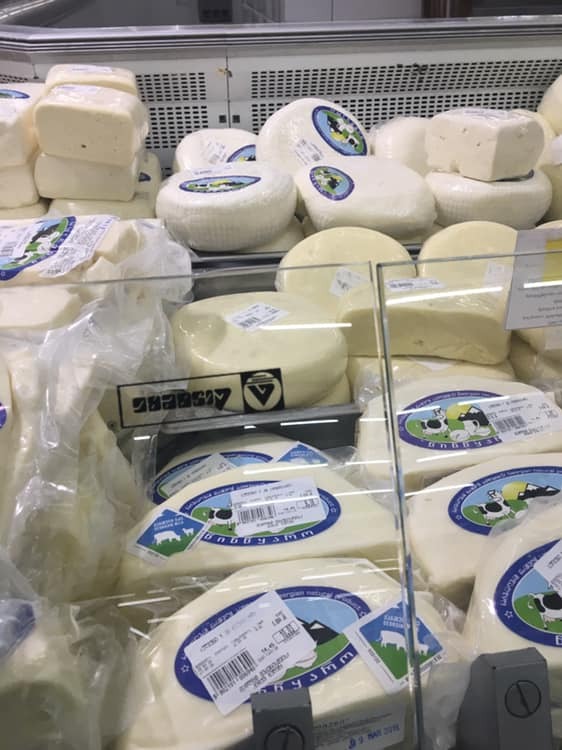 The products with 'Georgian Milk Mark' are now available in the supermarkets of Georgia. The 'Georgian Milk Mark' is officially registered and serves to distinguish dairy products made from natural milk. The documentary Jara is now available for sale on amazon. 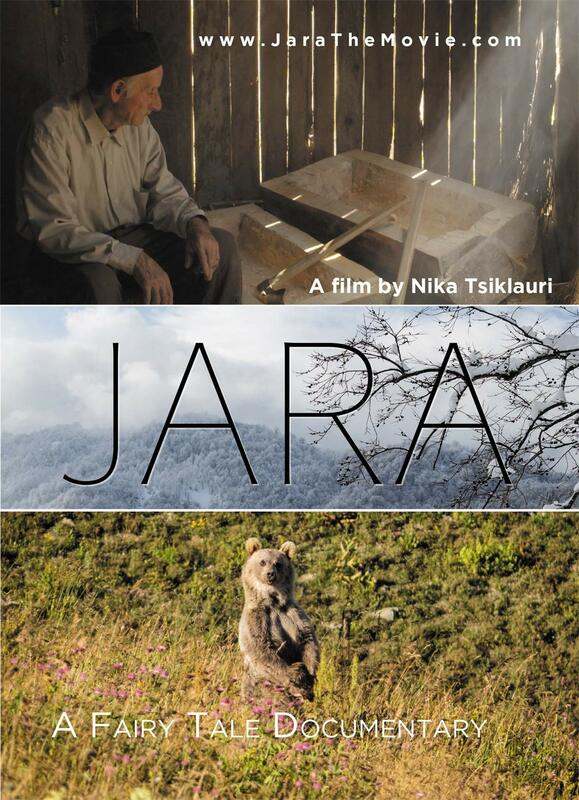 Jara is a fairy tale journey through one year in the mountains of Ajara. A story of the shifting boundary between human habitat and wild nature, portrays everyday lives in the changing seasons. The wooden jara in the forest and the bees living within it are the fixed point in the story. The film was named as the best feature film at the Wolves Independent International Film Festival2018 in Lithuania, and won the Golden Green Award 2018 at the Deauville Green Awards International Film Festival in France for the best production in the category of Sustainable Agriculture; the cameramen of the movie received an award from International Festival of TV and Movie Cameramen the Golden Eye 2018 for Best TV Camera Work. 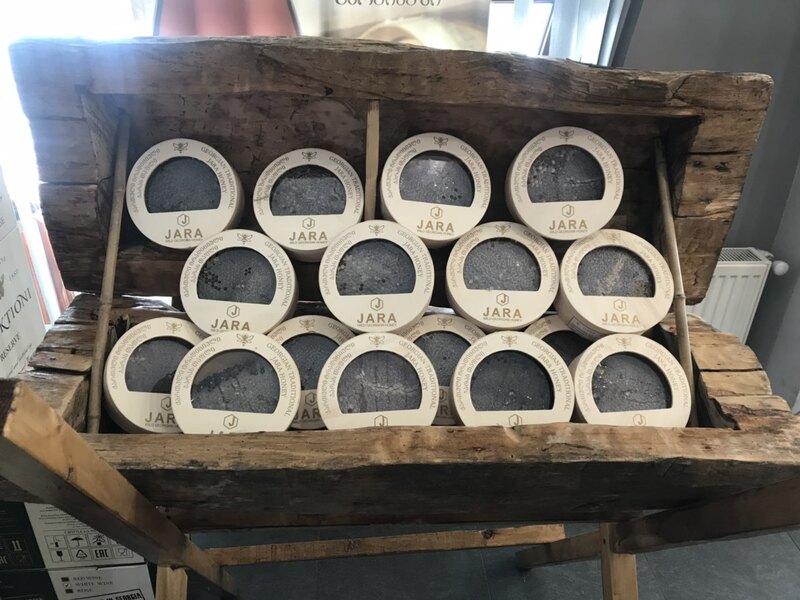 The main backer of Jara is the Swiss Agency for Development and Cooperation (SDC) through the Mercy Corps Georgia implemented Alliances Lesser Caucasus Programme. 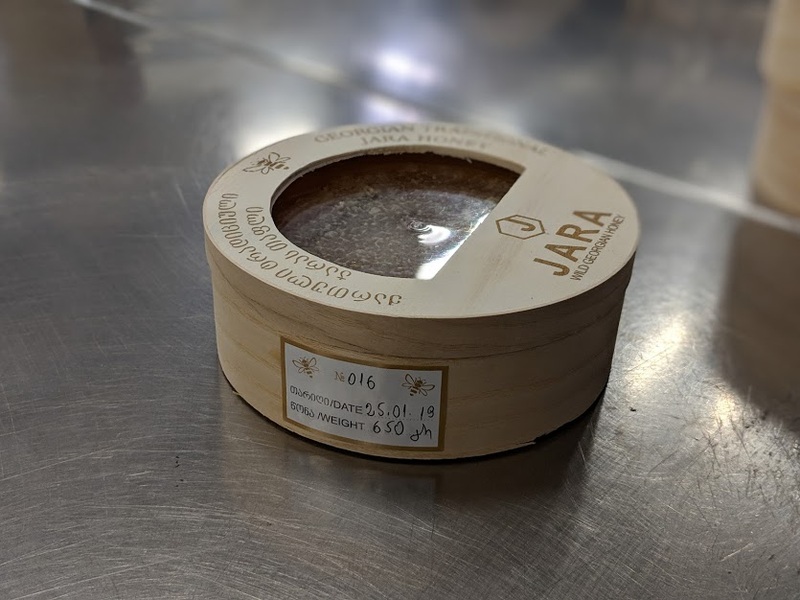 Jara honey, collected from the local beekeepers in Ajara, has been officially branded and packaged for the first time. It is now ready to enter the international markets. On 8th of November, 2018, the Government of Georgia adopted regulation #525, which forbids registration of the vet drugs containing prohibited antibiotics, like, chloramphenicol, metronidazole, dimetridazole, ronidazole, nitrofuran (including furazolidone) which are widely used in beekeeping. The regulation entered into force on 1st of January, 2019 and was nationally covered by the media outlets. 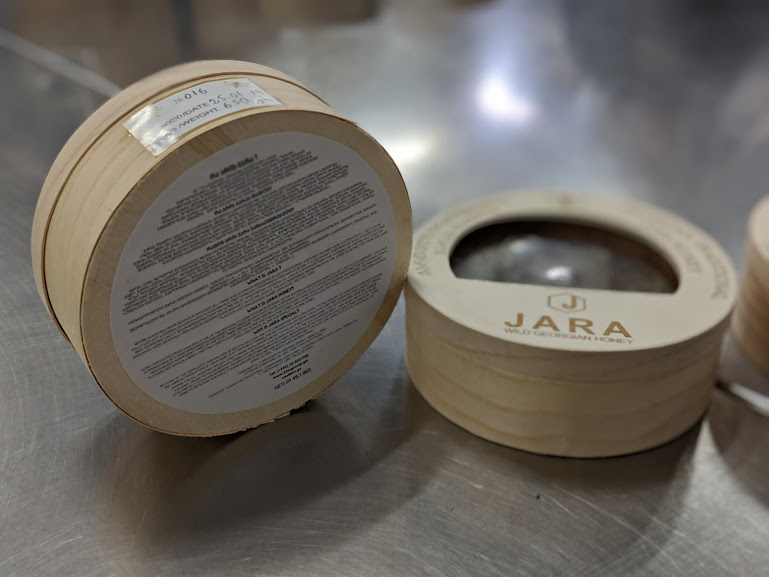 The regulation was proposed by the Veterinary Department of the NFA, after this constraint was raised at the first Honey Sector Advisory Committee on 22nd of June, 2018, which brought together honey stakeholders to discuss tackling the high levels of antibiotic residues in honey which are limiting the development of the honey sector. Up to thirty students of the agri journalism course at the journalism department attended a lecture given by the ALCP programme Team Leader Helen Bradbury in the state university. 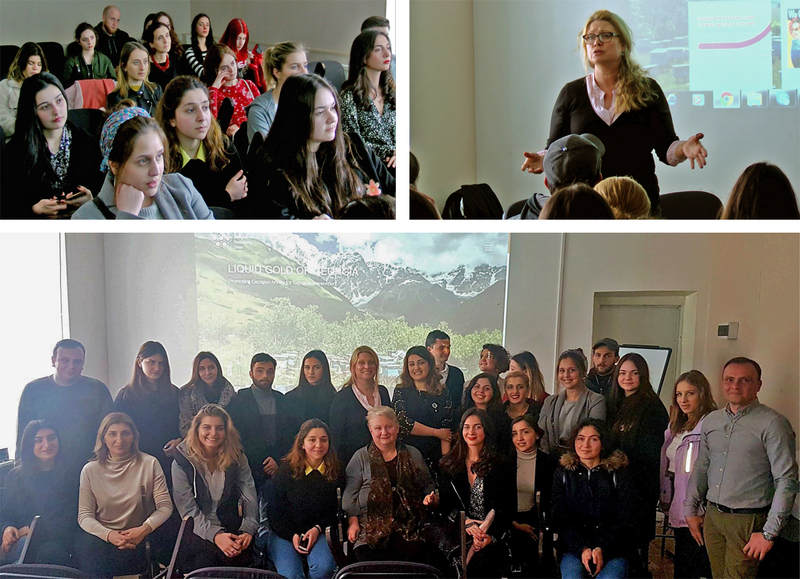 Agriculture and tourism; environmental protection, preservation and biodiversity; the honey, sheep and dairy sectors; Georgia’s rich cultural heritage and its main treasure - people/farmers with their strong traditions were the main themes of the lecture. All the students highlighted that the lecture was inspirational, they did not know many things, found different perspectives of agriculture and environment and they will report about the themes in the future. ‘Agriculture is about people and you should do your work with your heart if you want people to be opened to you. Try to understand the process and choose your own path. Be different and always find something new that no one else can see.’ - Helen Bradbury, Team Leader of the ALCP programme. Since spring fifty-three students have been learning agri journalism as a selective module for two hours/week, during the whole semester at the state university. ‘We see more and more reports about agriculture but it is not enough. Reporting about rural life, people and agriculture is very important and it is our and your responsibility to think about it and be more enthusiastic as you are future journalists or media managers.’ - Natia Kuprashvili, Head of the Journalism Resource Center. Fourteen universities in Georgia, four in Armenia and one in Azerbaijan established or are establishing agri journalism module in their courses. 369 students have already studied the course. 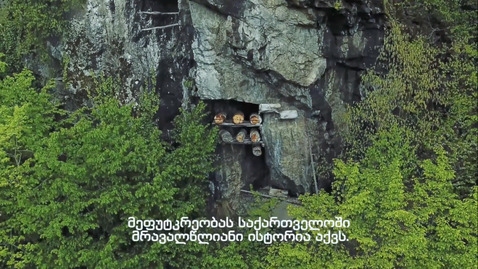 The ALCP facilitated the Georgian Beekeepers Union (GBU) in development of the honey promotion video, depicting the story of Georgia as a land of the oldest honey discovered and unique biodiversity to support awareness raising and promote export potential of Georgian honey and Jara. The video was shared with different stakeholders and social networks. The Ministry of Foreign Affairs shared it with their internal networks of embassies in Georgia and foreign countries and it was uploaded in a Georgian production section. The video is on Facebook of the Embassy of Switzerland in Georgia. 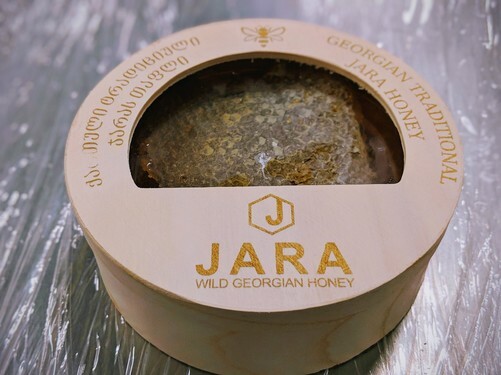 The Georgian National Tourism Agency; The Department of Tourism and Resorts of Ajara; the Ministry of Environmental Protection and Agriculture; and The Agency of Protected Areas are sharing it with their network. It has reached the highest views on the popular Facebook platforms Marketer.ge and Georgian Wine. To date the video has 185,000 views and 6,000 shares. The majority of the viewers are emphasizing on interesting story mentioned in the video they did not know before and are sharing it for further promotion. 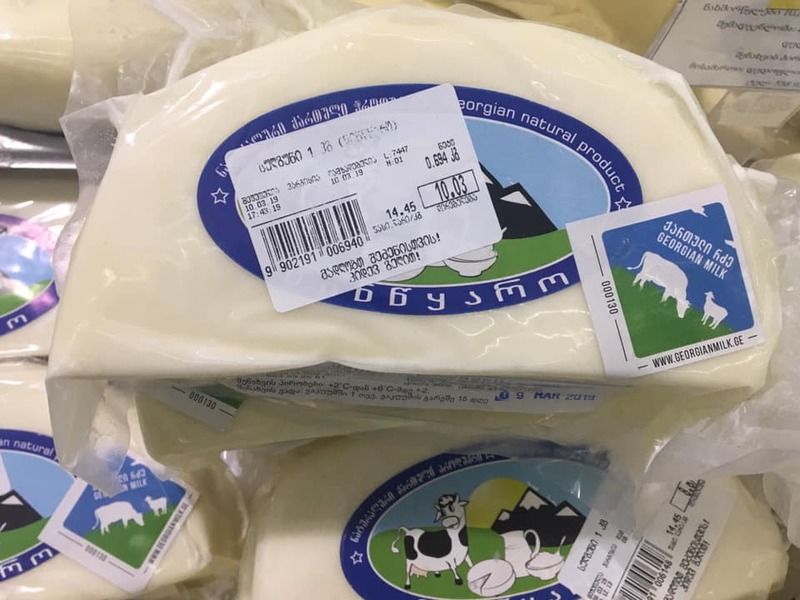 The products with 'Georgian Milk Mark' are now available in the supermarkets of Georgia. The 'Georgian Milk Mark' is officially registered and serves to distinguish dairy products made from natural milk. ©2014 Alliances Caucasus Programme All rights reserved.